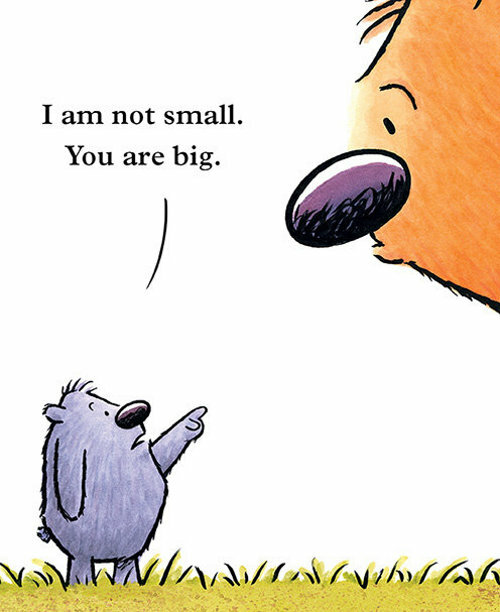 YOU ARE (NOT) SMALL. Text copyright © 2014 by Anna Kang. Illustrations © 2014 by Christopher Weyant. 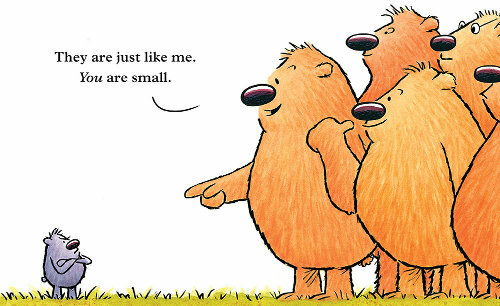 Illustrations used by permission of the publisher, Two Lions, New York. 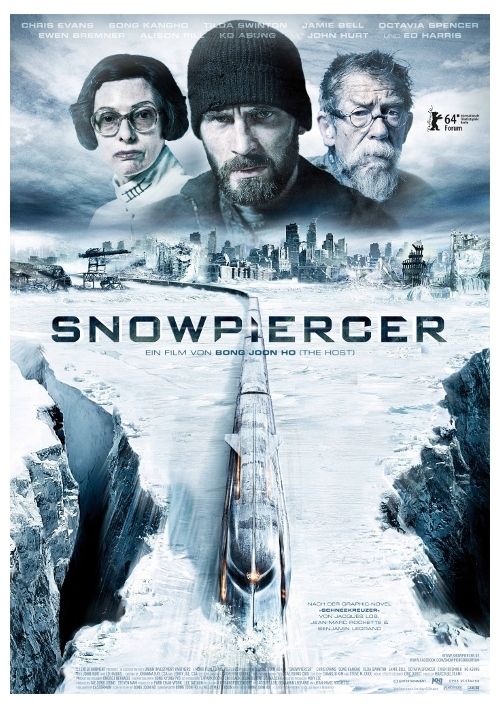 2) Snowpiercer! WHOA. It is very good. 3) The Giver wasn’t half-bad either. It was interesting to see so soon after having read it to my girls. 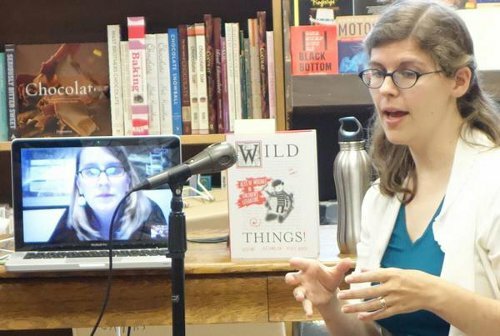 5) I love this idea, this book, and this smart, smart teacher. 6) Educating my girls in the way of The Beatles. 7) Wild Things got a starred Booklist review (though it’s not published yet). That was so lovely to see. Five paragraphs on A Raisin in the Sun. I felt such guilt I had to read the script. Your time with no fools.” Now do I pass? 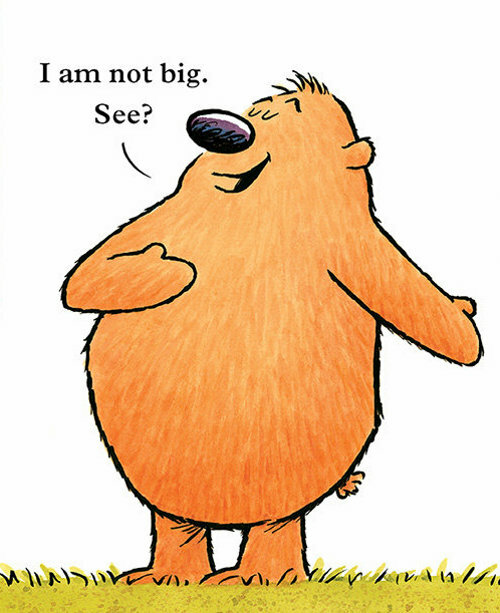 For the record, I am small. Jules: Glad that technology permitted and supported your virtual attendance. Congrats on the starred Booklist review! Wahoo! Steven: Congratulations on the publication! What a fun book. It would be perfect for my Pre-K time. Jules, I want to see Snowpiercer and The Giver..the book I just finished reading, Revolution by Deborah Wiles had a lot of Beatles references. Steven, love the line about “her loopy purple cursive.” Good luck on your move. 1. Middle and youngest grandgirl are up for a visit. I haven’t seen them since New Year’s. 2. The whisperings and giggles and laughter of oldest and middle grandgirl. 4. Revolution by Deborah Wiles. Important book about the summer of 1964 in Mississippi. 5. Call for CYBILS panelists and judges opens tomorrow. 6. A poem in the mail from a Summer Poetry Swap person. Steven, yes, congrats on being published. LW: we crossed in cyberspace. I like the idea of pushing through and pumpkin granola. Steven, congrats on the publication! Jone, Revolution sounds good. Thanks for the heads-up! Sorry for my very belated reply. Yesterday got busy (but my house is cleaner because of it). Hey, Jules! This book looks adorable. I don’t have 7 kicks, but I DID get a kick out of seeing a photo of you visiting Jama over at Alphabet Soup. 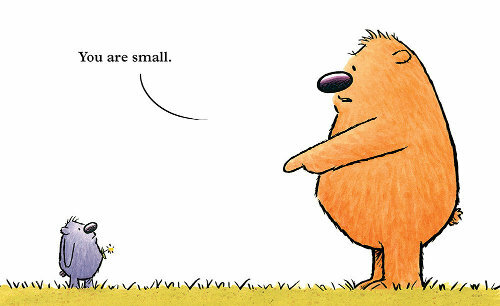 And congratulations on the starred review (and all the other great reviews) of WILD THINGS — hooray, hooray!! I’m looking forward to reading it!